People use the placenta for some really weird stuff. 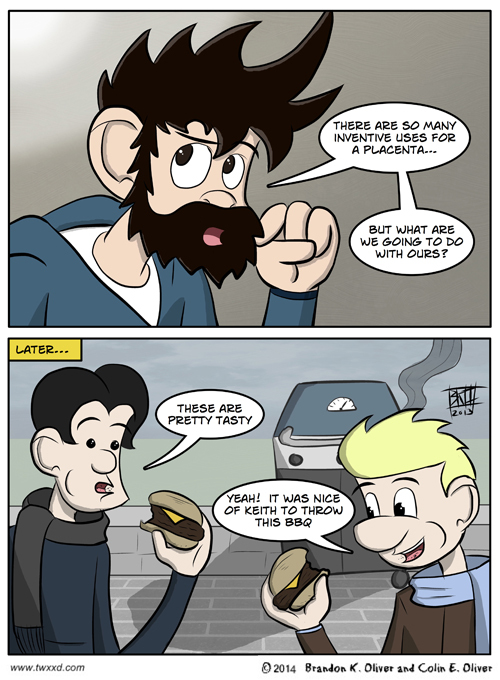 If this comic grosses you out, I should warn you that we did not make this concept up. Eating the placenta is a real thing that people do. Strangely glad I read this while eating breakfast. Still eating by the way. We’ll cook anything in the cold if it means it’s flame-kissed.